Remote monitoring. Benefits involve enabling patients, within high-risk groups, to a higher degree going about their ordinary lives with fewer doctor visits, while at the same time providing security and safety in the acute situation. E.g. 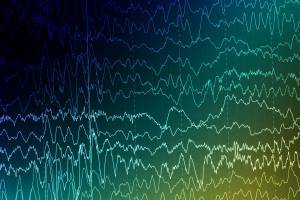 EEG measurements for early seizure detection. Remote monitoring/self-testing. Risks involve precise enough methods to assure quality, while benefits include fewer doctor visits and improved ability to detect and treat sickness at an earlier stage. E.g. At home self-testing for urine protein indicator detection connected to Uremia, within high-risk groups. Remote monitoring. Providing reliable diagnostic measurements in an emergency setting is difficult, since most measurement methods have been developed for a clinical setting.E.g. Hypothermia detection. Research show that e.g. inner ear measurements provide a reliable indicator for core body temperature. A solution for use outside of the clinical setting would substantially improve patient safety in emergency care.